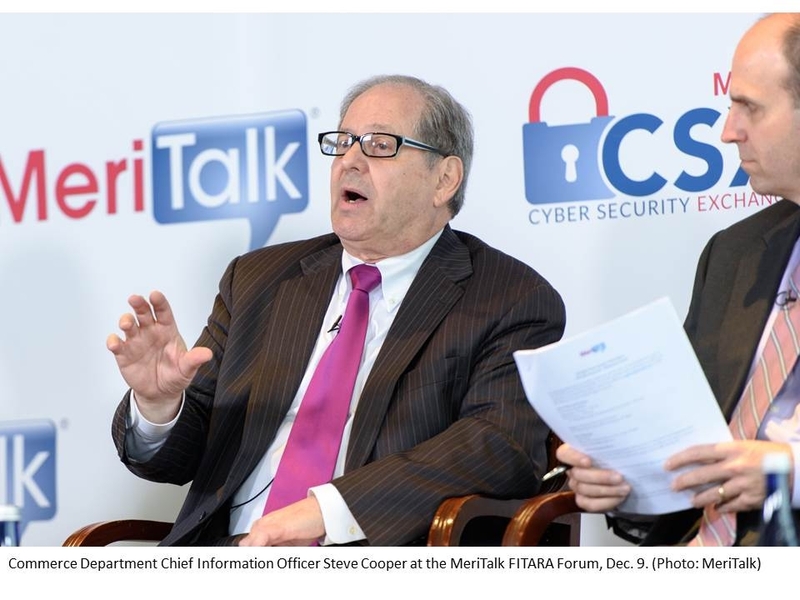 Federal chief information officers (CIOs) should take full advantage of the Federal Information Technology Acquisition Reform Act (FITARA) to cut costs and transform their agencies, according to panelists at the second MeriTalk FITARA Forum. Agencies need to move quickly to take advantage of that momentum, said Walker White, president of BDNA Solutions. Congress approved FITARA in December 2014 to lower the Federal government’s estimated $80 billion in annual IT spending, giving CIOs much greater authority over spending within their agencies. FITARA’s predecessor, the Clinger-Cohen Act, is widely viewed as a failure. By contrast, many Federal CIOs are embracing FITARA because of its potential to improve Federal IT because of the authority it hands to CIOs. It’s the gold standard in part because the law puts CIOs in charge, Harris said, an important change because the law gives CIOs authority to make important decisions. FITARA also represents a groundbreaking change because of the transparency it requires, said Steve Cooper, CIO, Department of Commerce. Agencies must post their implementation plans once the Office of Management and Budget (OMB) approves them. The plans identify the steps agencies are taking to meet the law’s common baseline, a set of standards that address budget formulation, budget execution, acquisition, and organization and workforce. Just two agencies – the Department of Agriculture and National Science Foundation – have posted their implementation plans. But Bill Zielinski, of the OMB’s agency oversight team, said he expects OMB to complete its review of all agencies’ implementation plans by the Dec. 31 deadline. The House Oversight and Government Reform Committee also contributed some visibility when it outlined numerous shortcomings last months in efforts by Federal agencies to implement reforms in FITARA. The committee issued F and D letter grades to 17 agencies because of missed opportunities to cut costs and meet other benchmarks. Those scorecards were never intended to represent a scarlet letter, Rep. Gerald Connolly, D-Va., said in a keynote address at MeriTalk’s FITARA Forum. Rather, they are intended to help chart the progress of agencies, he said, and now it’s time to make progress in cutting IT costs through data center consolidation and other efforts, the congressman said.